Right now, I want to share with you what I am using. 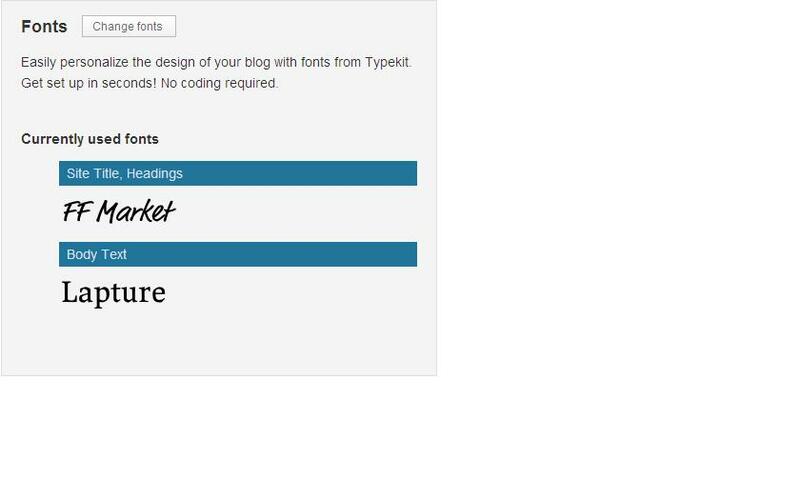 I am sure you can see the results on the blog, but you guys helped me make this happen, so you get to see what fonts I am using. Originally, I was going to use the FF Market font on everything, but many of you have told me on the poll/comments that it was difficult to read in the body text and the side bars, so I played around with all the available fonts and came up with Lapture. To me, Lapture looks classy without being too stuffy, so I went with that choice. I kept FF Market on the title and heading title because I just really like how it looks there. I hope you like my choices.